Roger A. Deakins is one of the preeminent Hollywood cinematographers of the last three decades, having shot classics from The Shawshank Redemption to beloved modern films such as Sicario. 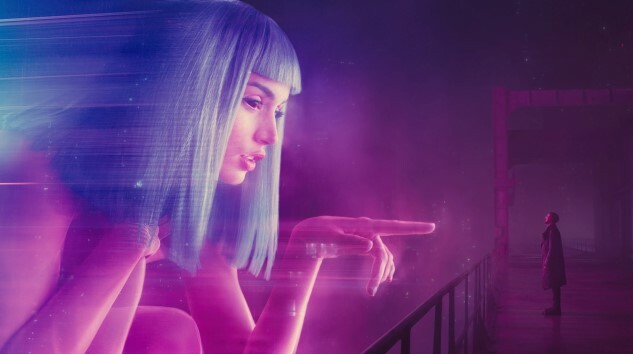 He’s also being lauded currently for his beautiful work on Blade Runner 2049, which is one of the most compelling reasons in recent memory to go see a film on the big screen—the new Blade Runner begs to be seen in such a way, if only to drink in Deakins’ awe-inspiring visuals. But you may want to choose 2D over 3D showings, if you’re going to catch Blade Runner 2049. At least, that’s the way the cinematographer thinks you should see the movie, and we’re inclined to give this guy the benefit of the doubt. The moral of the story, when all is said and done, is that regardless of what format you’re seeing Blade Runner 2049 in, you really ought to see it in a theater while you still can. Despite critical acclaim, the film has under-performed box office expectations in the U.S., pulling in $32.8 million during its opening weekend. That’s plenty troubling, considering the large budget of $150-185 million, and suggests that the film will have to be a major hit across international markets to have a shot at profitability. You can read our own glowing review here. In recent years, there have been few films in theaters with as much objective beauty in them as Blade Runner 2049. If you haven’t already seen it, catch a (preferably 2D) screening while you still can.